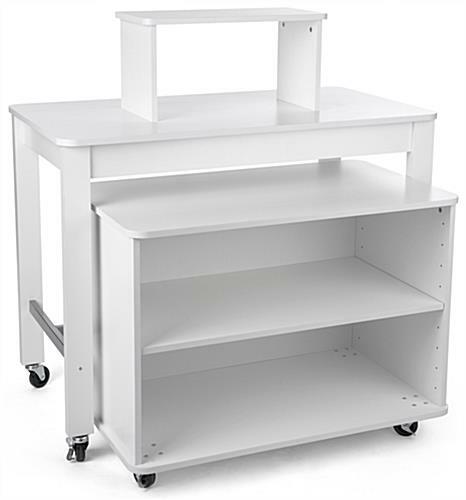 This white tiered table with nesting shelves is a package set of two pieces ideal for any boutique or retail store. 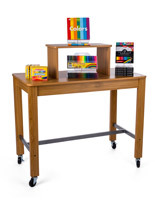 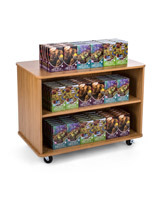 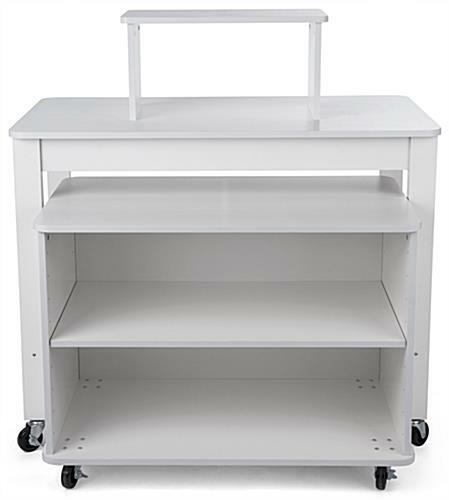 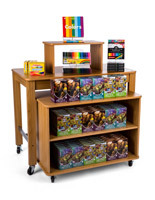 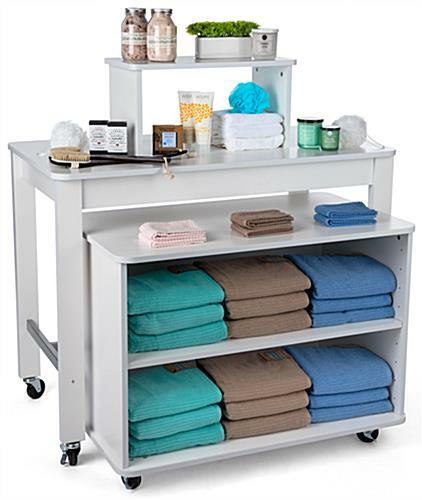 The bundle includes (1)47.75”w x 26”d x 37.75”h counter and (1)47.75”w x 23.75”d x 38.5”h shelving unit. 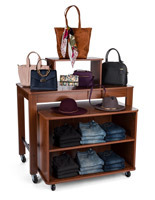 Use the white table with nesting shelves to present retail store patrons with folded t-shirts, clothing apparel, and fashion accessories. 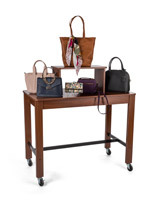 Each piece in the set features locking casters ideal for moving from one area of your boutique to another. 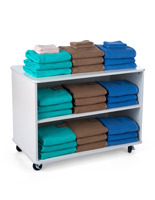 An adjustable shelf with 9 height settings accommodates a wide range of t-shirts, clothing and fashion accessories. 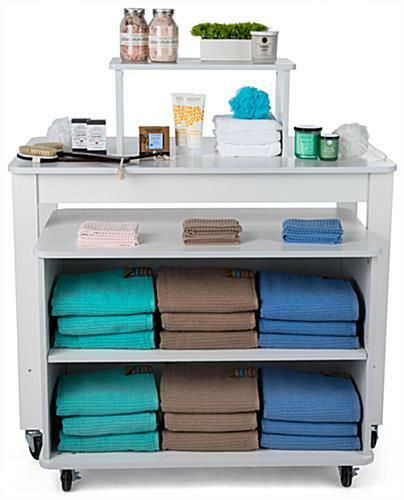 This table with nesting shelves set is a must-have! 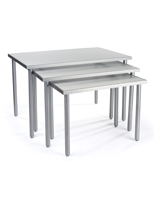 47.8" x 37.8" x 26.0"